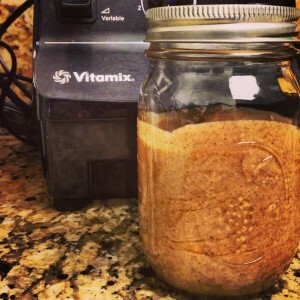 ∼ 07 ∼ Homemade Almond Butter! Simon and I recently attended a play date with some new friends from our neighborhood and their children. It was wonderful. The children played and the moms relaxed and chatted. We all snacked on some delicious homemade almond butter and crackers that my girlfriend Kate had made the day before. As soon as she told us she had made it I was obsessed. I have made almond milk in my Vitamix Blender but had yet to try almond butter. Of course, it didn’t take me long to pop some almonds in my blender and make my first attempt. Kate, who is from the UK, (Whenever I think of her my inner monologue turns British. So if you’d like to read this post properly, read it in a British accent.) made her almond butter in a food processor. She explained that it takes a really long time (probably more than 5 minutes, of blending before it becomes creamy and ready to transfer into a jar and eat). I was impatient at first. I thought something must be wrong with my almonds. The oils just didn’t seem to be releasing. I was so impatient, in fact, that I went ahead and transferred my less than perfect product into my mason jar and called it a day. I had even added a tablespoon or 2 of coconut oil to speed up the process. 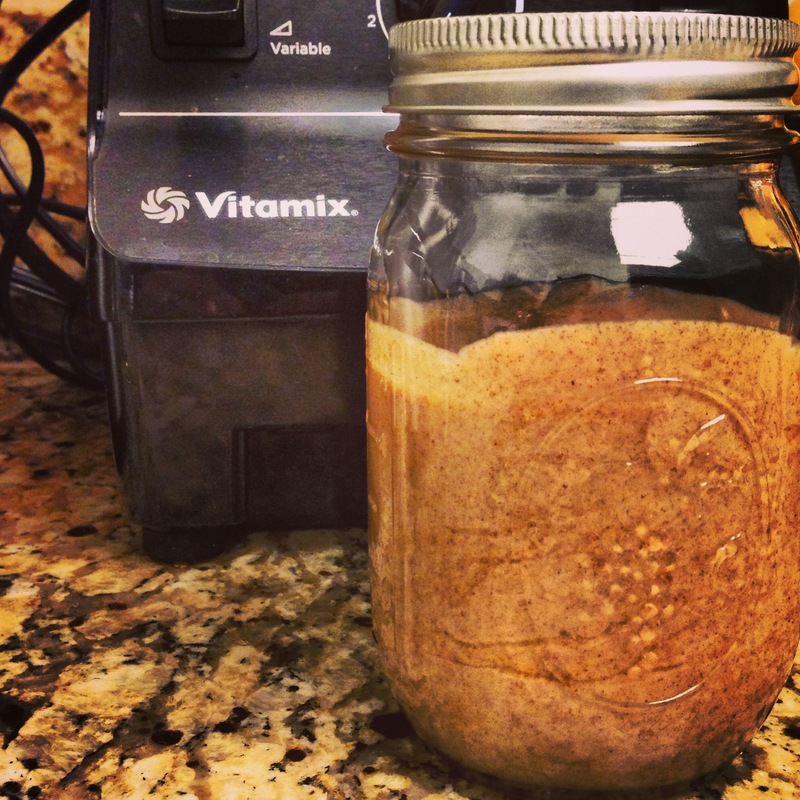 The next day I took a deep breath and scooped the dry mixture back into my blender and began to churn it again. Not even a minute later the oils released and I had a magnificent, creamy, beautiful butter to show for it. And it was delicious! Thank you, Kate, for inspiring me! It’s so nice to make yummy, homemade, real food to eat and feed to my family. I love knowing exactly what we are putting into our bodies. OMG OBSESSED!